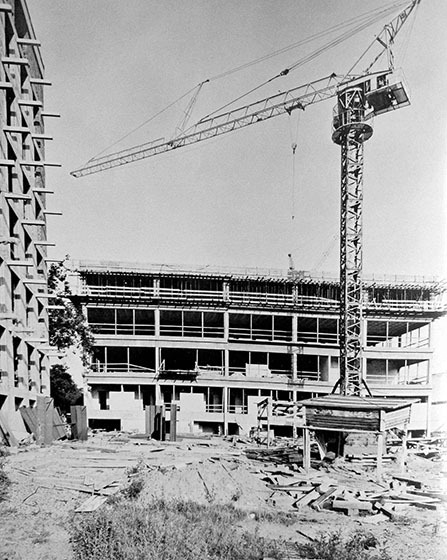 Building bridges – this turn of phrase applies in a number of ways to the building competence of the Wiebe Group, especially with reference to the company’s own history and philosophy. Ultimately, the company with its workforce of about 1200 employees is marked by the constructive awareness of its past combined with a vision of the future. 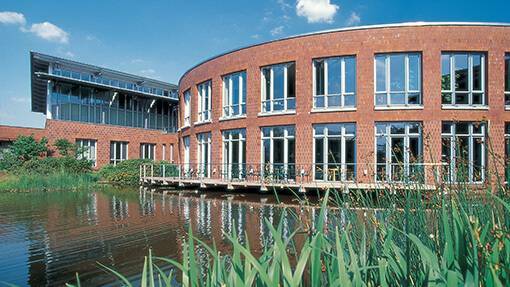 The headquarters of the Wiebe Group have been based in Achim, to the south east of Bremen since 1993. The innovative and functional building stands out thanks to the modern mix of brickwork, glass and aluminium which reflects the future-oriented strategy of the entire Group. 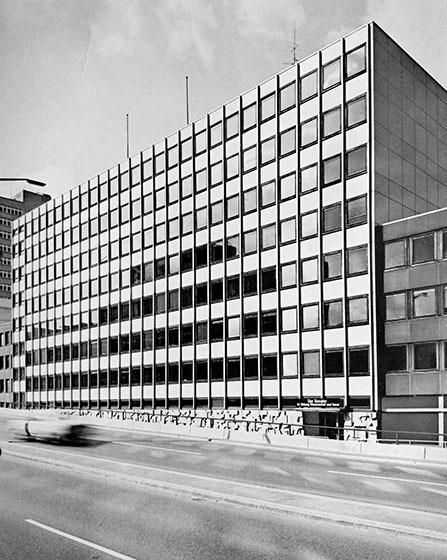 And even the company’s tradition-seeped past is eternalised in the building’s shape: when viewed from the air, the building forms a large ‘H’ in honour of the original founder H.F. Wiebe. Despite his unwavering faith and confidence, the carpenter from rural Dörverden would probably never have dreamed what the future would hold in store when he laid the foundations of his own carpentry shop in 1848. As large and versatile as the Wiebe Group has now become, it has managed to retain its family feel. This is rooted in the company’s long-standing history and I am sure that this is an additional boost for each of our projects. Everyone plays their part and relies implicitly on mutual trust and team spirit – just like a large family. 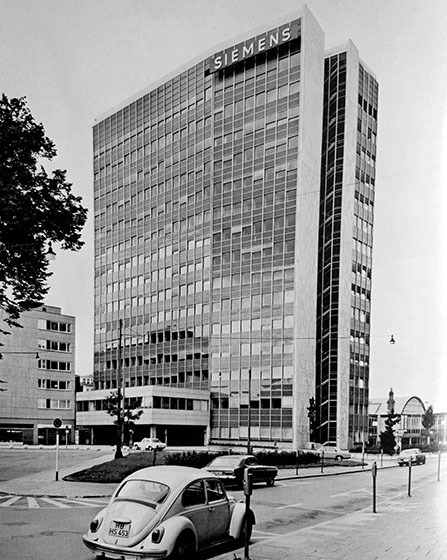 Before the Weser Tower was built, the 16-storey Siemens high-rise building used to be the tallest office building in Bremen. 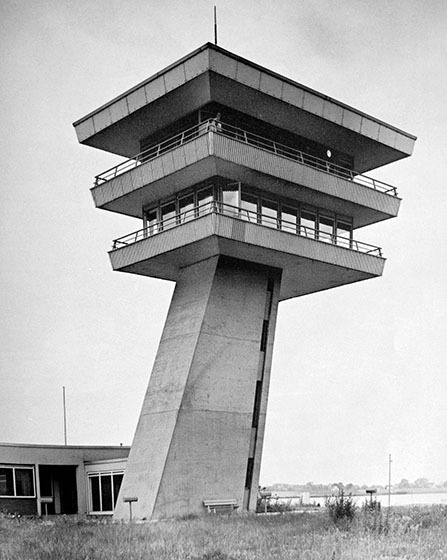 It is 61 metres high and was erected in 1965. It no longer belongs to Siemens AG, but is now used as an administration building by various Bremen authorities. The Lankenauer Höft is located at the end of the Weserufer park directly on the local headland. This building that belongs to the Bremen harbourmaster’s office at the Neustädter Hafen is now used as a restaurant and bears witness to the long Hanseatic and shipping tradition that made Bremen great. Ahead of its time then, and still functionally attractive today – the administration building am Rembertiring in the Bremen city. The eight storeys were formerly used by the education minister, but are now home to the department of children and education. 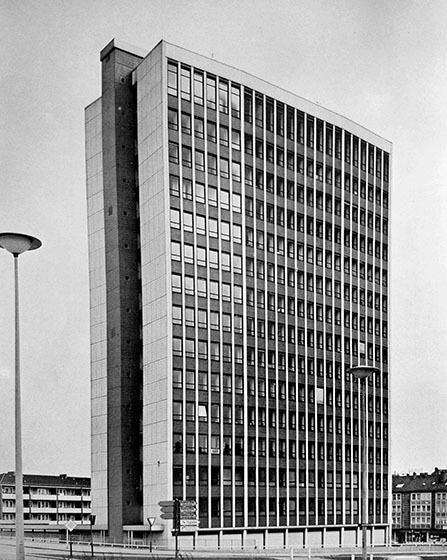 The administration building in Falkenstraße was the headquarters of the Bremen district recruiting office for many years. With its 15 storeys towering 60 metres above the city, it is one of the largest office buildings in Bremen. 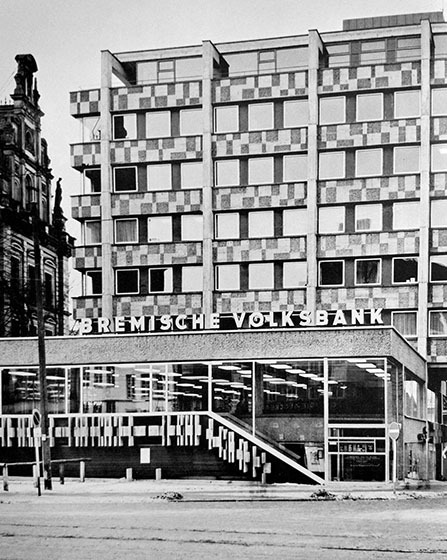 Even though the high-rise building that was the head office of the Bremischen Volksbank no longer exists in its original form, its characteristic design features created by the architect Carsten Schröck are still recognisable in the renovated building. 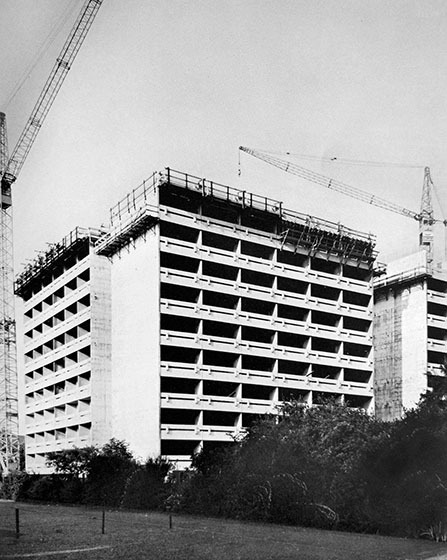 Today’s Wiebe Group also has a long history in the construction of hospital buildings, for instance, the turnkey construction of a nurse’s home of the grounds of the current Bremen-Mitte Clinic. The company also built the ear, nose and throat clinic not far from the nurse’s home for the then municipal hospital. Although the purpose of a building may remain the same, its appearance can change over time –this is particularly clear for instance when looking at the former multi-storey carpark am Brill and the carpark that is now located on the same site. 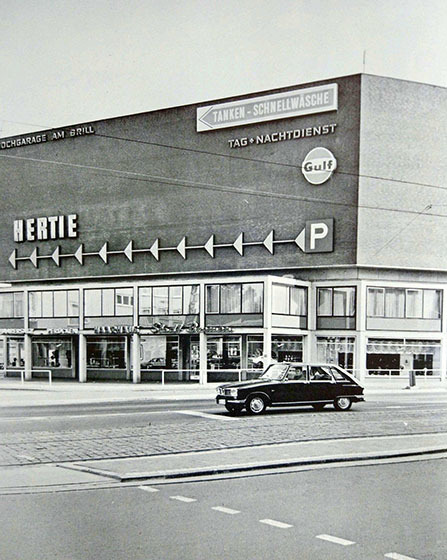 Anyone who mentions the ‘Katharina’ in Bremen is probably referring to the Katharinenklosterhof carpark in the city. 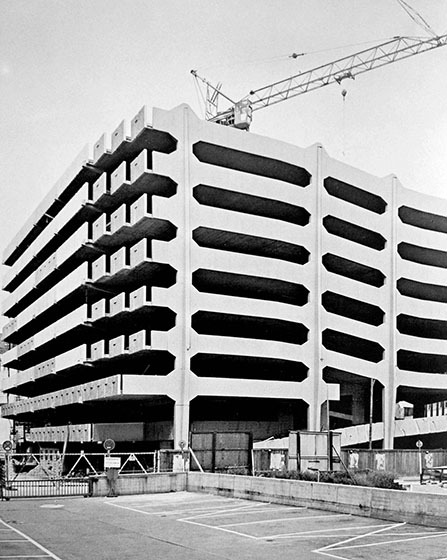 The original multi-storey carpark was also built by Wiebe employees. 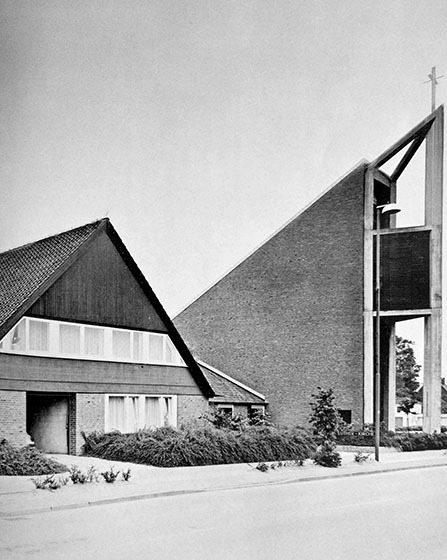 The Wiebe Group has not just focused on the construction of office or functional buildings, it has also shown its ability to take on unusual projects such as the Evangelical Church in Hoya. Modern-day highly-efficient track construction equipment is the result of years of technological innovation: all kinds of track construction machines. 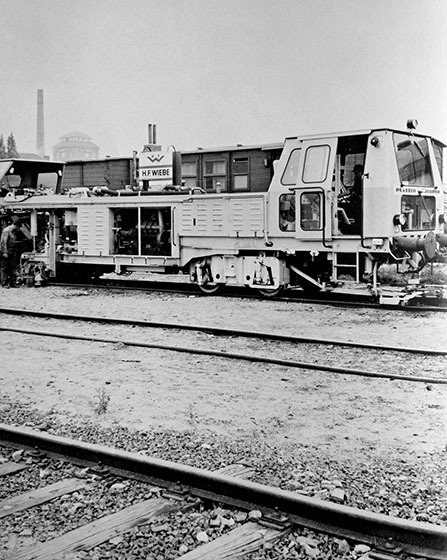 This is a picture of a switch tamping machine lifting and laser alignment equipment and front compactor. 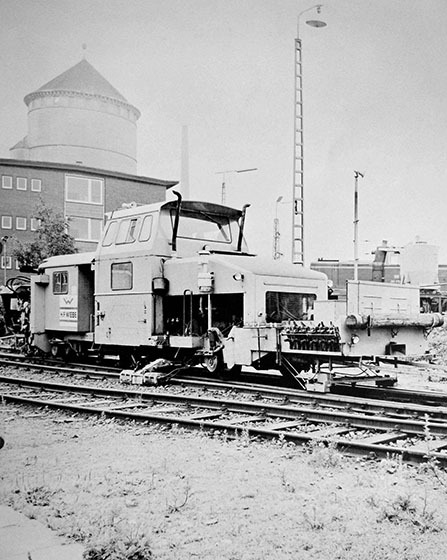 Used on many tracks by H.F. Wiebe: A levelling tamping machine with automatic lifting and laser alignment equipment from the company Plasser & Theurer. 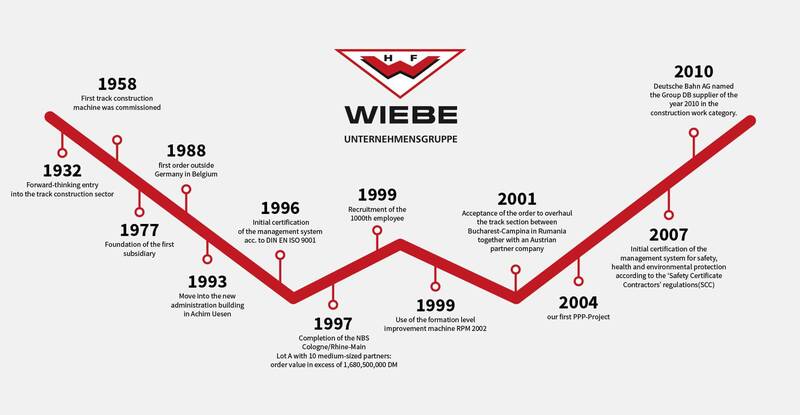 The resulting Wiebe Group is now a combination of several successful companies that are committed to the principles, continuous growth and the traditions of the Group. And nothing has changed since then. The company is still managed by the Wiebe family, now in the sixth generation. It has always been able to adapt to the changing needs of the market through thanks to its excellent market instincts and a flexible approach. One particular milestone in the company’s history was its decision to enter the track construction market in 1932 and this has led to the completion of a great number of large-scale successful track construction projects over the years. However success is never static; it demands a constant high level of professionalism, willpower and above all team spirit. This is why the Wiebe group relies on a tried-and-tested mix of qualified employees and an extensive machine pool to continue its rail-bound path successfully in the future. The existing workforce and newly recruited specialists in other areas also form the foundation for the expansion of our large customer-oriented performance potential that covers various sectors of the construction industry. For instance, the group has also made a name for itself in real estate project development with the Wiebe subsidiary ‘Wiebe Immobilien Projekte GmbH (abbreviated to: WIP)’. We build bridges, both literally and figuratively speaking; cross this bridge with us and let us plan your successful project in detail. One thing we have certainly not lost over the past 160 years is our farsightedness as far as the market is concerned – on the contrary!